UEFA (Union of European Football Associations), on Monday, has banned Israel’s public broadcaster from airing its games to illegal settlements in the occupied West Bank and East Jerusalem. Israel’s Public Broadcasting Corporation, known as Kan, won the rights to broadcast preliminary World Cup and European Championship games, after it bid $5.8 million for the privilege, last year. However, the UEFA contract states that Kan “may only broadcast matches inside the so-called Green Line, and not in what UEFA defined as the Palestinian territories,” the Times of Israel reported, according to the PNN. As a result of this disagreement, the contract remains unsigned. 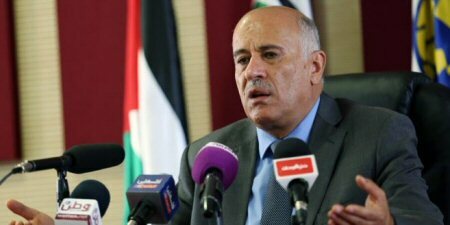 The President of the Palestine Football Association in a statement welcomed the decision, saying it was a step in the right direction towards the application and respect of the universal values and ethics of sport, international legitimacy, and the FIFA statutes. The PFA further called upon FIFA to likewise take a decisive decision towards the illegal situation which the Israeli Football association continues to perpetuate by allowing illegal settlement football clubs to play in the official Israeli league, in blatant violation to the FIFA statutes and the consultation of the UN to FIFA, as expressed in the letter of the Advisor to the UN Secretary General, in which FIFA was advised on the illegality of such action.